Nam Tae Hyun opened up about his awkward relationship with his younger brother on tvN's 'In-Laws in Practice'. On the November 9th installment, Jang Do Yeon met her onscreen husband Nam Tae Hyun's younger brother, who's 14 years her junior. 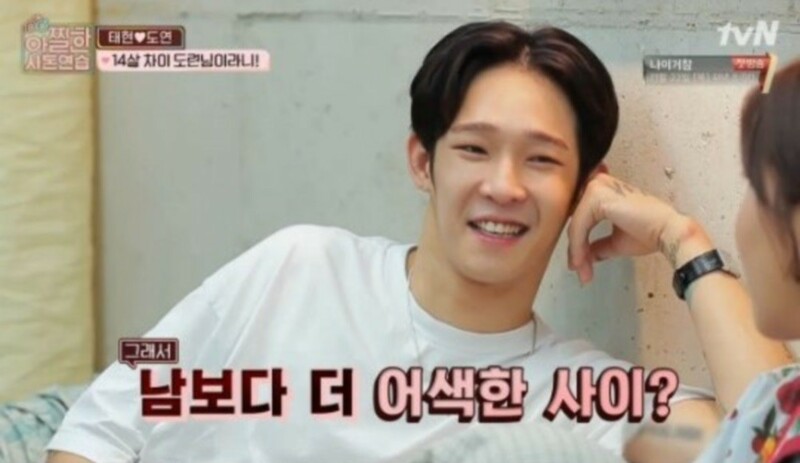 The South Club vocalist said, "It's awkward with my younger brother. We only have a 5 year difference, but I spent time at a dormitory so we lived apart from each other." He continued, "We didn't have time to see each other, so we're more awkward than strangers are," letting Jang Do Yeon know about their relationship. When she asked what his younger brother likes, Nam Tae Hyun simply said, "I wonder what he likes." Lot of siblings can't relate to each other. Then theres siblings who are best friends.